Silicone gel implants are manufactured worldwide by an ever-growing number of companies. Silicone implants have endured a roller coaster ride of public and professional opinion since their inception in the early 1960s. Originally hailed as miracle of plastic surgery technology, the implants soon became villains, blamed for systemic diseases and unexplained symptomatic conditions in numerous implant recipients. Through exhaustive research and development, silicone breast implants are back with a vengeance and the demand for them is stronger than ever. Modern silicone implants are a marvel of technology and aesthetics. There are choices of size, profile, shape and texture, which give patients a custom design suited to their specific needs. The outermost part of the implant is called the shell. This shell is bonded to the filler material, so that the filler will not bulge or leak. In earlier versions of silicone breast implants, the filler material was separate from the shell and might leak through if the shell was compromised. The unified shell and filler design creates a safer prosthesis, which will not fold or wrinkle, producing a more natural appearing breast. While all silicone implants contain silicone gel, there is a wide variation in the thickness and consistency of the filler material. Early prototype silicone implants had a thick viscous gel filling and a thick outer shell. Later revisions to the silicone implant created a second generation of thinner shells and more liquid-like filler material. These are the implants which failed so often and led to the ban on silicone prosthetics in the United States in 1992. Third and fourth generation implants generally grew larger in size and once again featured a reinforced outer shell, which was now coated to prevent leaks. These implants also featured a thicker jelly-like silicone filler, which was less likely to migrate out of the implant, if the integrity of the shell was compromised. Current silicone breast implants are made of cohesive material, which is actually a jelly solid, rather then gel or liquid material. The filler material is chemically bonded together and the implant can actually be cut into pieces, without any filler leaking. Remember to research all your options when it comes to choosing silicone prostheses for your breast augmentation procedure. The choices to be considered are shaped implants versus round implants, high profile versus low profile, and textured shell versus smooth shell. Your doctor will help to advise you which implant will best suit your needs and the specific procedure you have selected. Learning the facts about silicone breast implants, prior to surgery, will save you from potential problems postoperatively. Take your time and choose wisely. 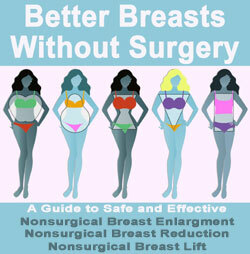 Your body is worth the extra wait to get the facts before jumping in to surgery blindly.